Siblings Jack (George MacKay), Jane (Mia Goth), Billy (Charlie Heaton) and Sam (Matthew Stagg) reside in the secluded Marrowbone house. When their mother tragically passes away, the children attempt to carry on as best they can, never letting the outside world know they are on their own for fear that if they do they’ll be separated. But something is happening inside of Marrowbone, something sinister, all four determined to endure this terror in order to keep the horrible secret lurking in their home’s attic. The directorial debut of The Orphanage screenwriter Sergio G. Sánchez, Marrowbone is a spellbinding gothic drama overflowing in suspense, dread, pathos, romance and honest to goodness human sentiment. It is a sensational piece of genre subterfuge, the narrative an increasingly byzantine maze overflowing in deft twists and turns that help augment the emotional journey Jack, Jane, Billy and Sam all find themselves forced to take. While many of its surprises aren’t nearly as shocking or as unexpected as I cannot help but feel they were intended to be, Sánchez still balances the numerous tangents of his tale with confident aplomb, everything building to an earth-shattering conclusion that had me choking back tears as my heart fractured into a myriad of itty-bitty little pieces. All four of the young actors portraying the Marrowbone siblings are superb, Goth and Heaton most of all. MacKay, a rising talent who made notable impressions in films as diverse as Pride, How I Live Now, Captain Fantastic and The Boys are Back, has the most difficult challenge, and for the most part he manages to pull off a rather tricky psychological balancing act. There’s an showdown between him and a mysterious assailant that doesn’t quite work, but the climactic payoff born from that moment is another thing entirely, the actor rising to a level of heartbreaking eloquence that blew me away. Supporting players include The Witch and Split star Anya Taylor-Joy and relative newcomer Kyle Soller, both of whom are integral to the film’s success but are also portraying characters the less said about the better. Taylor-Joy once again shows she’s the real deal, and I’m continually impressed by just how effortlessly the actress makes even the most complex and impossible of moments appear to be. Her last moments are nothing short of stunning, and part of me would almost loved to have watched a straightforward drama of her character living her quiet day-to-day life chasing off suitors as she attempted to become her own headstrong woman in a small, tight-knit community where the majority of women are wives and mothers, not freethinking firebrands determined to leave a lasting mark upon society. Sánchez continually paints a mesmerizing portrait of a family in crisis, and no matter how absurd or convoluted as things might become, the bonds between these siblings is never in doubt. 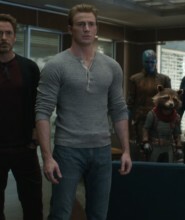 His affection for these characters is palpable, and I love the ways in which his script places such dynamic emphasis on the little bits of minutia that makes each of them unique yet still part of the same familial dynamic. This is the heart and soul of the story and Sánchez knows it, continually building all four of them up more and more as events progress in order for the climactic reveal to have maximum catastrophic impact once the truth bursts forth into the light of day. Patrick Salvador’s (Automata) production design is top-notch, while cinematographer Xavi Giménez’s (Agora) lush, hypnotically intimate cinematography is positively incredible. 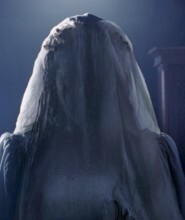 Also worth mentioning is composer Fernando Velázquez’s (Crimson Peak, A Monster Calls) magnificent, hauntingly disquieting score, his themes adding an additional layer of subtle dread to the proceedings that’s lovely in its eerily eloquent grace. I’m sure this film will have its detractors, that its old school, Hammer-esque romantically gothic vibe will strike some as melodramatic and overly elaborate. I am not one of those individuals. I was mesmerized by Sánchez’s debut in a way that caught me entirely by surprise, and even if I figured out where the filmmaker was taking his story nonetheless I still found myself grabbing handfuls of tissues to wipe away tears for the film’s final moments. Marrowbone is very, very good, and now that it’s available to watch at home here’s hoping more people take the time to give it a look. 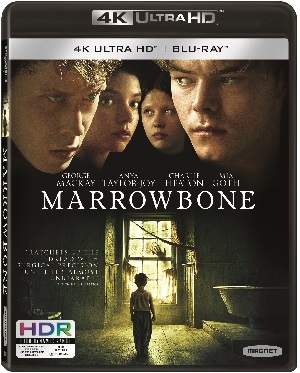 Marrowbone is presented on a 4K (2160p) Ultra HD disc with a 2.40:1 1080p transfer. This 4K Ultra HD disc features English Dolby Atmos track along with an English Dolby Digital 5.1 option and includes English SDH and Spanish subtitles. Deleted / Extended Scenes (29:34) – There’s a lot of them, some of them quite fascinating, but it’s easy to see why they were excised as I honestly can’t say they would have added a great deal more to the narrative from an emotional perspective. Marrowbone Behind the Scenes (29:28) – Much better than average making-of piece. Definitely worth a look. Marrowbone Visual Effects Real (1:48) – Reminiscent of David Fincher’s Zodiac, one would never have the first clue as to the sheer volume of visual effects that were required to give this film its uniquely withered and well-worn visual look. Nearly every frame has been tweaked in some form or another. It’s stunning stuff, mainly because you never notice just about any of it until someone takes the time to point it all out. A Blu-ray containing the film and the special features is included with this release. The core twist lurking at the heart of Marrowbone isn’t entirely out of left field and I will not say it caught me by surprise. But the emotional heart of the film is pure and the power this story held over me was truly remarkable. Sergio G. Sánchez’s directorial debut is nothing short of sensational, Magnolia’s 4K Ultra HD presentation of the film a sensory feast fans of the film are going to want to pick up for their collection right away.